Civil engineers work in the natural environment to design and construct the infrastructure needed by our society. This includes the buildings where we live and work, the highways on which we travel, the water we drink and many other essential ingredients of our lives. We are very proud of our program at UConn. Our faculty are dedicated teachers and leaders in their fields who will challenge you to learn. We have outstanding facilities for our students that include our high-tech classrooms, hands-on labs and state-of-the-art computer facilities. Our program prepares our students to excel in their careers. The demand for our graduates for high quality jobs is very strong. 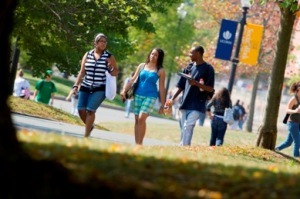 For details and enrollment data, see the Degree Programs page.